The robotics options will complement the traditional, large machine tool solutions already being provided to the aerospace, rail and heavy equipment industries. The first Global Services meetings took place at Fives Machining in Vaulx-en-Velin on 23rd and 24th June 2016. Through its Metal Cutting | Composites business line, Fives has been awarded this major contract for the supply of two Forest-Liné Aerostar for one of the main players in the Chinese aircraft manufacturing industry. 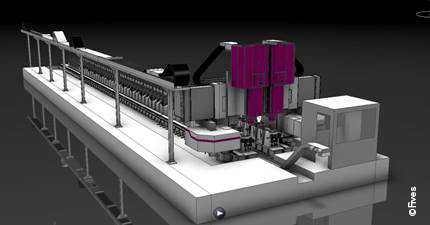 Fives recently supplied several Liné Machines equipment to manufacturers in North America and Europe. Fives’ Metal Cutting | Composites offer and its Global Services south-east agency received the award of best supplier in machine segment of the year 2014 from bearing manufacturer NTN-SNR.